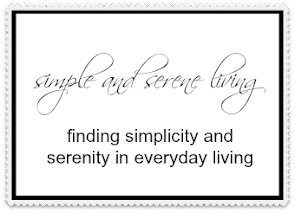 For me, part of living a simple life is simplifying my living space, and as you know if you've read my blog for awhile my living space is pretty small. Also as I am living on a very limited budget, I have to really think hard about any purchases I make. I have known for a while that I wanted and needed a new table beside my bed. The one I was using, although it looked pretty with its vintage coverings, just wasn't very functional and it took up too much space. I needed a smaller table with a drawer and I knew just what I wanted it to look like. It was dirty, the top was cracked , and the paint was really worn and chipped. It was just about perfect. So I outbid that other very nervy bidder (how dare she bid against me) and carted it home. After cleaning it up I set it beside my bed and I think it might have smiled at me. I mean I did rescue it from an almost certain death. Now all that was left was to add a knob. I decided on a faux glass one. Then I made it my own. An old Watt Moon and Stars bowl on the bottom shelf will catch small odds and ends. and my mid century lamp. Now it really is perfect. A simple find for a simple life. So pretty and the perfect size! Looks great. Have a wonderful day, sweet Laura! Thanks, Katie.Hope you have a great day, too. What a great find! Sometimes it's the simplest of things that work the best. What a great piece! Thanks, Lisa. I love it. I love the old table and even noticed the beautiful quilt on your bed and the vintage clothes hanging on the wall. Your new blog look is wonderful. Enjoy the day! Thanks, Susie. The drawer will definitely be handy. Love your 'new' table, Laura. It is just perfect! So glad you found it. Wow, it's perfect! What a find. I like the knob you chose too. And the lamp is very unusual and pretty. Never seen one quite like that before. But I do love lamps! It's my weakness. So glad you found something for yourself. Patience is rewarded because it's the perfect table. I'd have never noticed the yardstick because I was too busy admiring the table, quilt, ironstone and clothing on the rack behind it. Just a really a pretty spot! It is very serene, Donna. What a perfect little bedside table!! Love your lamp also. Thanks. 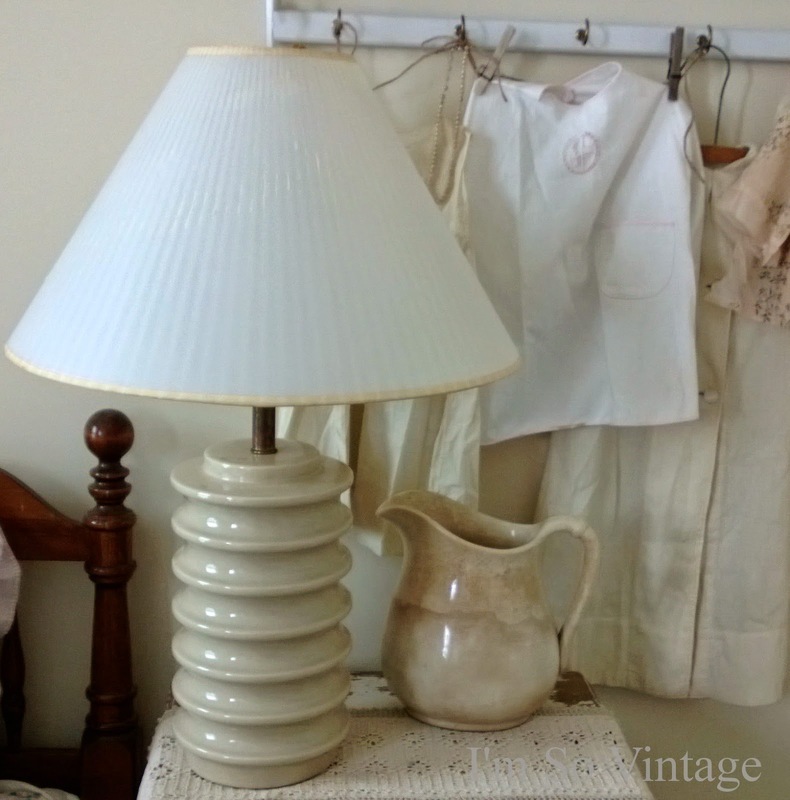 The lamp was a Goodwill find and the shade came from an auction. So I had to stop and look really hard for the yardstick!! Oh wait...time to look at the table! 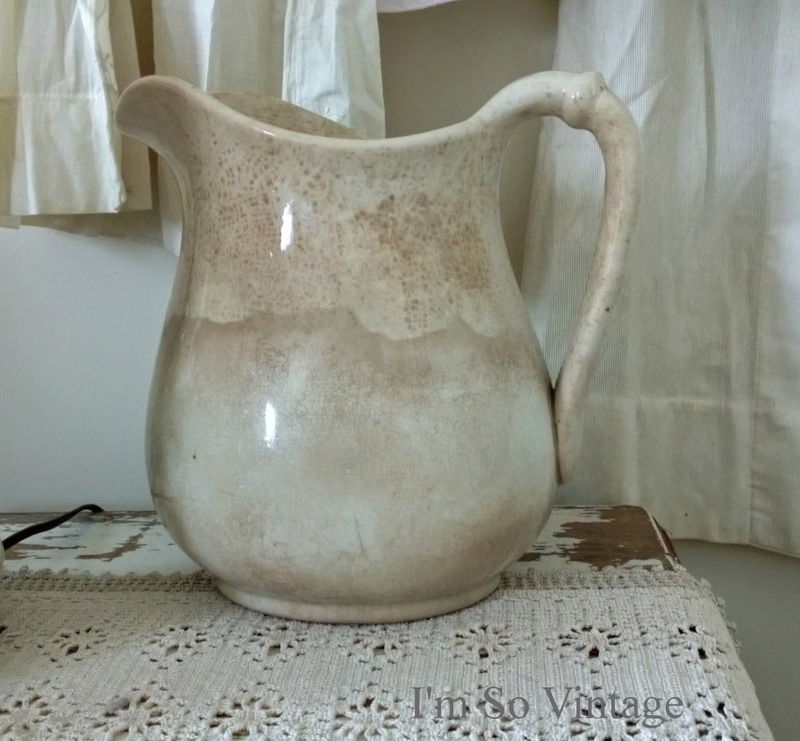 :) Nice find and the lamp and pitcher go nicely there. That is such a sweet little table. I love the peeling paint and the shape of it. I love that it already had lots of peeling paint. Perfect, perfect table. I love it! I think your accessories are a great add and pull it together nicely. Thanks. I'm so glad I waited until I found the perfect one. Glad you had the winning bid!! It is beautiful with just the right amount of shabbiness. It's one of those finds that just make your heart sing, it's so chippy and lovely, and beautifully worn...what a great find! Hmmm think I might be looking around for something cute like that too, now that you have inspired me. 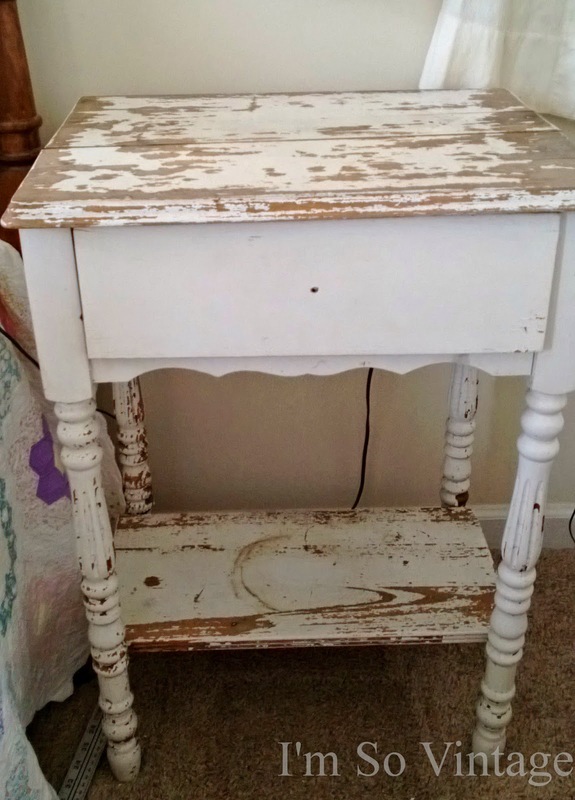 That little table turned out to be adorable! The chippy white paint looks perfect. 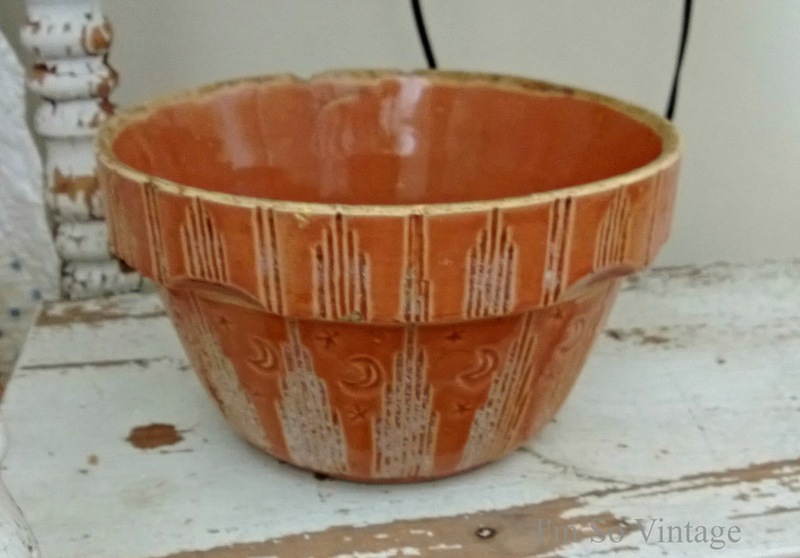 I love the old moon and stars bowl. I've never seen one like it. I would never have noticed the yardstick because I was too busy wondering what the quilt's pattern was and looking at the moon and stars on the bowl and how cute the crochet table piece was. I'll have to share the quilt another day. It was an amazing Goodwill find. 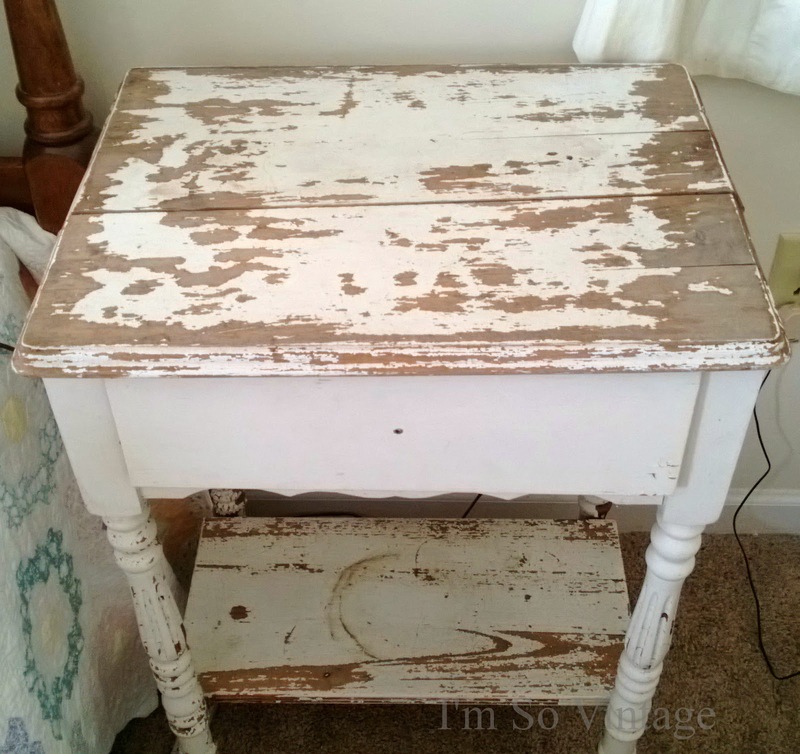 Cute side table! Perfect size for a side table. Love your accessories too. Hello Laura, I really love what you did with the little table. All your furniture work well together. BRAVO! I am actually commenting about the post about Doris. It brought back memories of a neighbor lady who was in a nursing home and she took a turn for the worse and family had the priest come in and say the "Last Rites" Now this is a very serious sacrament and usually means death shortly. Well, the lady felt so much better the next morning she went to church!!! Well the same priest was saying Mass. I often wonder what he thought when he saw her there. The lady is still here today. Life is always surprising me. What a great story, Judi. Thanks so much for sharing it with us. It looks absolutely lovely and charming! I love and appreciate when we come across those simple treasures. It's perfect! I do too, It is always worth the wait. Such a great piece Laura and it looks perfect in this spot. 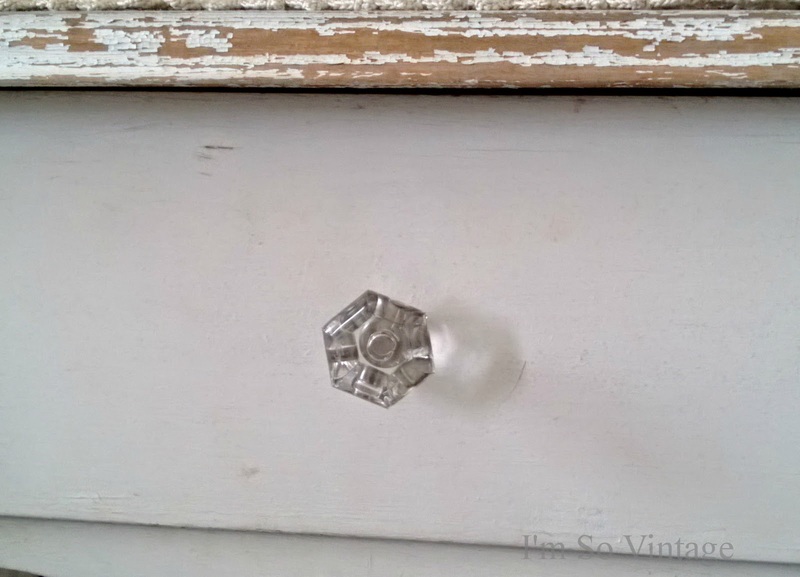 A little patina is so flattering on furniture. What a great table Laura and I love that pitcher you place there.